It simply calculates a rotator depending on the actual camera position. The problem: It's incredibly slow. My framerate takes a very critical hit as soon the font elements are visible. It runs fine, if I set enable to false which causes the text elements to draw, but prevent them from autorotating. Even if I include it directly in the parent blueprint (not using a blueprint script component) it's not difference. I also tried to use a timer and to run it only 10 times a second, but even then I have no chance to hold my target framerate anymore. Why does this perform so bad? Is there any method to speed this up? Another update: I created a new text render material and set it to 'unlit'. 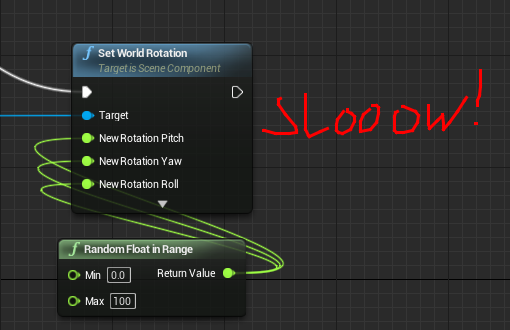 Now my whole scene drawcalls went down from 5-6 ms to 3-4 ms while rotating, but still slow. Why am I unable to remove extra offset on Oculus Rift camera? 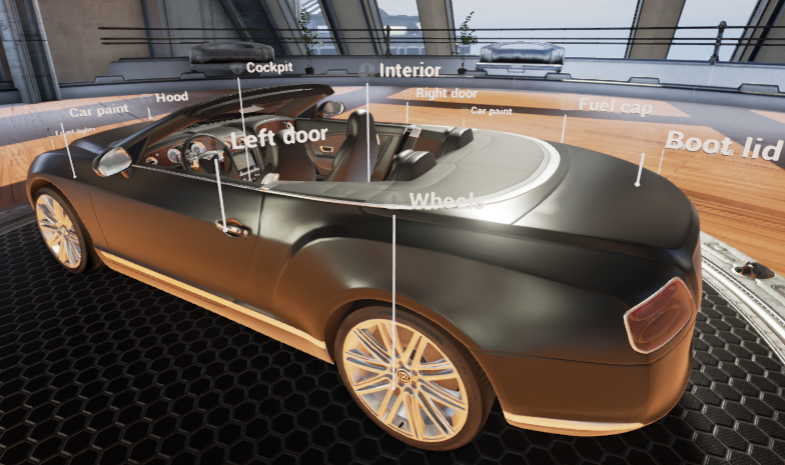 Pickup a procedural mesh in VR? How do i have two different gamemodes in one game?